Beauty Trends for 2019 | Apply for a Course Today! - Enquire Today! What are 2019’s Beauty Trends? Beauty is constantly changing and new trends are always coming in hot. From glamorous to crazy and unique, trends are always changing and inspiring hundreds of thousands of people to partake in the trends and try them out themselves. In recent years, the beauty industry has seen a huge change in the products people are buying and the way people are using them. Notably, in the past few years, there has been a massive rise in the use of charcoal products. From charcoal soaps to charcoal face masks and even charcoal toothpaste! It is unlikely that you haven’t stumbled across a charcoal product in beauty retailer in the past few years. But what will be the hottest trends in this new year? At the London Beauty Training Academy, we are always open to new trends and embracing them, in this post we have taken close consideration to select what we believe will be 2019’s biggest beauty trends. According to both Vogue and Cosmopolitan, you can expect a dramatic return this year from the use of gloss, and it won’t just be used on lips! Recently gloss has been forgotten by the huge rise in matte lipstick since the huge trend starting in 2016, but expect this year for gloss to be back and even to be extending the shiny stickiness to the skin, eyelids or anywhere you believe gloss can make a glamorous impact. According to Cosmopolitan, searches for glossy makeup have rose by as +89%, which is an extortionate rise! But can we expect to see glossy makeup take off as much as matte lipstick did in 2016 and can we expect huge celebrity brands such as Rihanna’s Fendy and Kylie Jenner bringing their own take on glossy makeup? Who knows what the future holds for glossy makeup? If you wish to perfect the glossy makeup look it may be a great idea to consider our VCTC Level 3 Diploma in Makeup Artistry where you will learn about almost every aspect of makeup artistry and become qualified for an exciting career in the beauty industry. We offer the course at both of our academy locations at Borehamwood and Chiswick. To find out more about the course or to apply for the course, click here. Nail trends may just be the most commonly changing trend! Whether you choose to artistically decorate your nails with crazy and creative patterns or keep them a simple shape with a stand out, eye-catching colour, there is always a new trend to satisfy your nail needs. 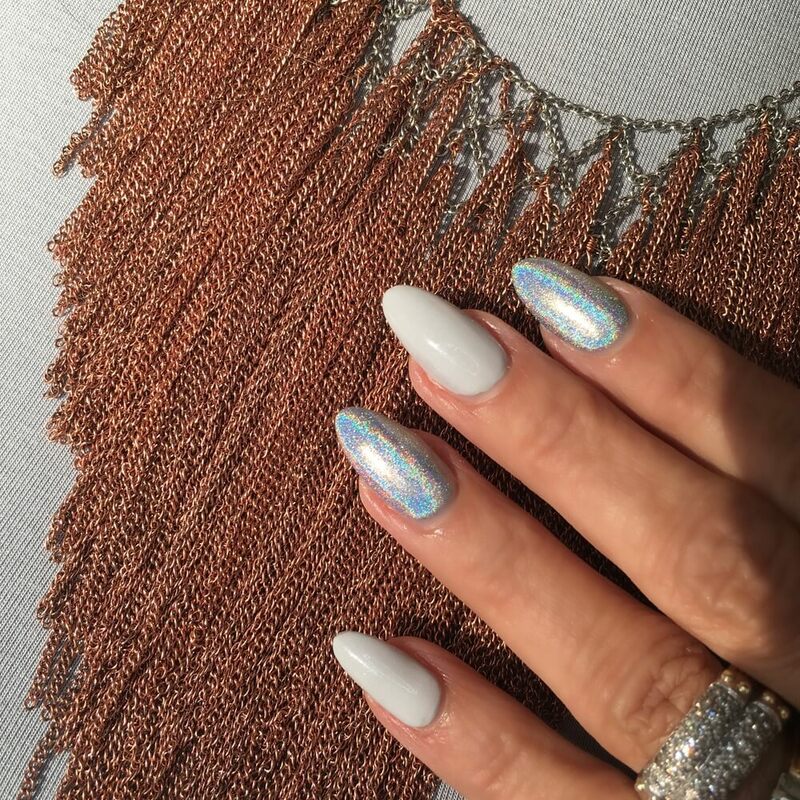 This year we may be saying goodbye to the ever so popular ‘coffin’ nail shape and saying hello to the new ‘almond’ shape. The almond shape is as it sounds, almond shaped and unique. If you struggle with choosing a nail shape or cannot tell which one is which, Cosmopolitan have created an online visual guide to nails shapes. This can be accessed by clicking here. In 2019 for skincare, it certainly seems like old trends may be coming back! For makeup we may be seeing the return of gloss, for skincare it could very be the return of Witch Hazel. Witch hazel is an astringent lotion made from the bark and leaves of the Witch Hazel. It has commonly been used in the past to fight acne but as well as that, the lotion also has multiple other benefits. Witch Hazel also is a great to relieve inflammation of the skin. Its anti-inflammatory properties including potent gallic acid and tannins. Many studies show that topical use of Witch Hazel can very effectively reduce inflammation and soothe your skin. Besides Witch Hazel, Liquid Exfoliators have had a dramatic rise in searches so far in this year. Liquid Exfoliators have already proven to be more effective than other exfoliating products such as facial wash or exfoliating wipe as the liquid is a lot better at removing dead skin cells, brightening skin tone and evening complection. Cosmetic and Skincare brand Glossier sell their own of liquid exfoliator. The exfoliator is said to ‘Transform skin in four weeks’ by the producers. The product is highly critically acclaimed and claimed a place in the 2018 Teen Vogue Acne Awards.